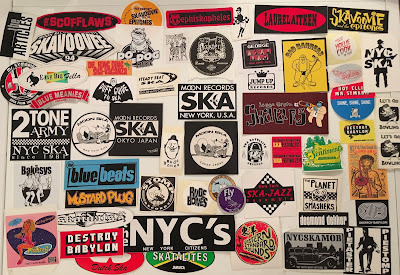 The Duff Guide to Ska: The Duff Guide to Ska Year in Ska Reviews 2017, Part 3! The Duff Guide to Ska Year in Ska Reviews 2017, Part 3! (click on image to enlarge)! Bad Manners Return of the Ugly (LP, Black Butcher Classics, 2017 reissue; originally released in 1989 on Blue Beat Records): Read The Duff Guide to Ska appreciation here. Erin Bardwell Collective vs. Friends, Guests, and Studio Stars Great Western Reggae Soundclash (CD, Pop-A-Top Records, 2017): The Erin Bardwell Collective makes great, laid-back old school rocksteady and early reggae with a bit of worldbeat in the mix--think of The Trojans--and are joined here by a number of high profile friends, including Neol Davies (The Selecter), Dave Clifton (Hotknives), Pat Powell (Melbourne Ska Orchestra), Matty Bane (Neville Staple Band), and London's Nostalgia Steel Band. The connective tissue of this album is a Western reggae vibe coursing through many of the tracks, but it's really all about great songs/performances (check out "Best News of The Year," "Edith New," It's No Lie," "Dominica," "Waiting for the Conversation," or "Night Bus to Highworth"). This one may take a few listens to reveal its offbeat charms, but once it clicks--damn, it's good! Buster's All Stars Skinhead Luv-a-fair (LP, Black Butcher Classics, 2014 reissue; originally released in 1989 on Blue Beat Records): Read The Duff Guide to Ska appreciation here. The Busters "Hunky-Dory" b/w "Ska Bang 87" (red or clear yellow vinyl 7" single, Jump Up Records, 2017): This single off The Busters' eighteenth album (if I'm counting right) Straight Ahead features two awesome Richie Alexander penned tunes (Dr. Ring Ding has been a member of The Busters since 2013, if you're not up on the German ska scene). Side A is a great swinging-jazzy-ska tune about looking good, feeling fine, luck shining down on you, and being in love. The flip "Ska Bang 87" is a cracking instrumental that swipes a bit of the riff from The Rolling Stones' "Miss You." Susan Cadogan "Don't Know Why" (Three track digital single, Stonyhill Records, 2017): Read The Duff Guide to Ska review here. Hollie Cook "Superstar" b/w "Superdub" (free Record Store Day 7"/digital download, Merge Records, 2017): Read The Duff Guide to Ska review here. The Dirty Notion The Dirty EP (CD/digital, Abbey Productions, 2016): Read The Duff Guide to Ska review here. The Georgetown Orbits "Keep Your Chin Up" b/w "Picture on the Wall" (7" vinyl picture sleeve single/digital, Simmerdown Productions, 2017): Read The Duff Guide to Ska review here. Napoleon Solo Early Recordings: First Demos - 1984/1985 (Six-track, limited-edition vinyl EP, Jump Up Records, 2017): Ska old-timers will remember this fantastic Danish ska-soul act from the late 1980s--their How to Rule the World EP and Shot! 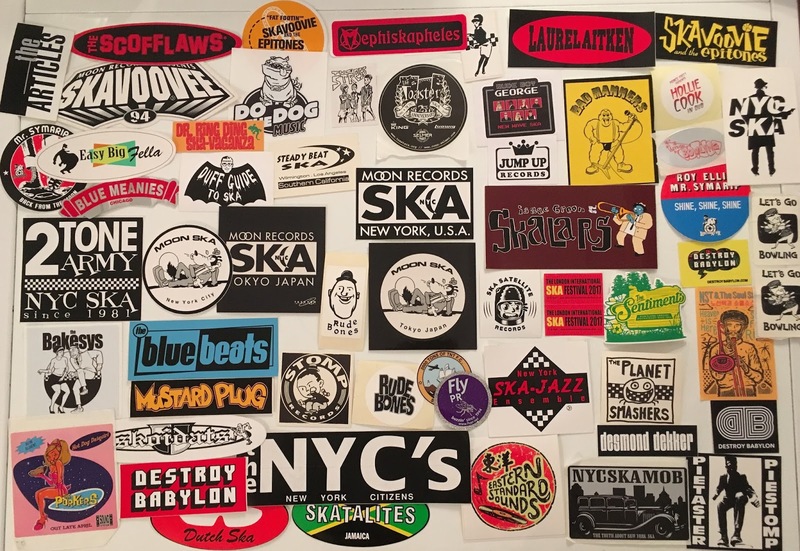 LP are very much worth tracking down, and they contributed really winning tracks like "I Don't Believe You" to Skankin' 'Round the World, Volume II, "Drive Me Wild" to Live in London: The London International Ska Festival, and "Go Home" to Ska United. This new EP features the band's early cassette-only demos which contain some very catchy material that probably should have turned up later on proper releases. "0059," "Nobody Told Me," the "Ghost Town-ish" "What Comes After Spring," and the South African anti-apartheid cut "Victory" ("ANC is going to make them free/ANC is going to lead to victory") are particularly good. NST and The Soul Sauce Back When Tigers Smoked (CD/digital, Eastern Standard Sounds, 2017): Read The Duff Guide to Ska review here. Pama International Love and Austerity (Heavyweight LP/CD/digital, Happy People Records, 2017): Read The Duff Guide to Ska review here. Pama International "Man Next Door" b/w "Austerity Skank" (clear vinyl 7" single/digital download, Record Kicks, 2017): Read The Duff Guide to Ska review here. The Red Stripes In the Ska East (CD, Mod Sound Records, 2017): Read The Duff Guide to Ska review here. Smiley and The Underclass Rebels Out There (CD/LP/digital, Bredda Records, 2017): Read The Duff Guide to Ska review here. Neville Staple Return of Judge Roughneck (CD/2 x LP, Cleopatra Records, 2017): Read The Duff Guide to Ska review here. The Stiff Joints First Proper Album (CD/digital, self-released, 2017): Read The Duff Guide to Ska review here. Tokyo Ska Paradise Orchestra Paradise Has No Borders (CD/LP/digital, Nacional Records, 2017): Read The Duff Guide to Ska review here. Read The Duff Guide to Ska Year in Ska Reviews 2017, Part 1. Read The Duff Guide to Ska Year in Ska Reviews 2017, Part 2.